Hello? HE-LLO-OO? Anyone there? I know I’ve been MIA recently, but I hope the world hasn’t moved on too much and that there’s still someone out there who wants to hear about another great place to eat in Canterbury! Over the last few weeks I’ve been here, there and back again − actually just to California and back, but you get my drift − and I’ve been doing a lot of eating and cooking, so I have lots to share! It’s just a matter of getting the time to sit down and write. First on the list is Café Mauresque in Butchery Lane in Canterbury which we visited way back in December. 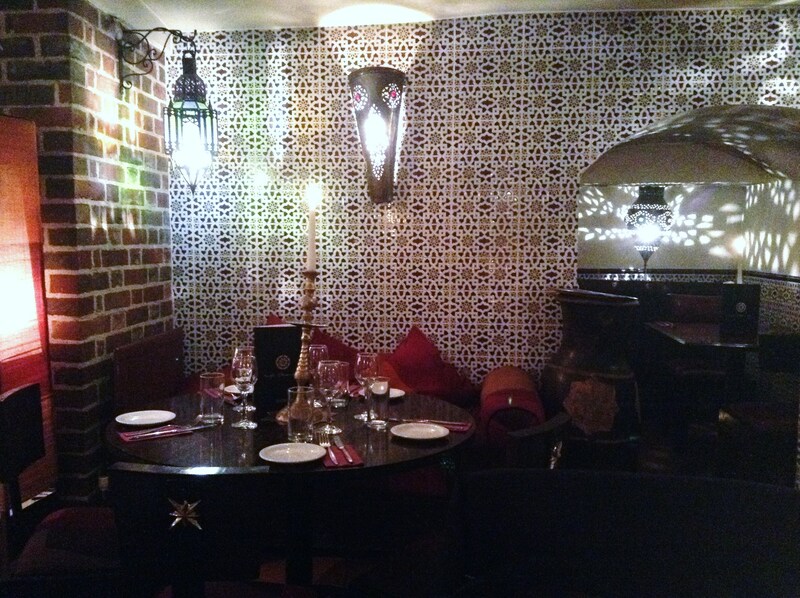 Tucked away in a side street off Canterbury’s bustling high street is this intimate little Andalucian/North African gem. As you descend the stairs to the basement dining room, lanterns, mosaics, candles and cushions create a truly unique and evocative atmosphere. There are tables snugly tucked into every nook and cranny of the basement and each has it’s own quirks and oddities. This can be an intimate, romantic space, but at times the close quarters and tile walls can mean the noise from other tables is a little overwhelming. The food has been good both times we’ve gone and the menu does offer a nice change from the ordinary. They’ve even had a Moroccan red on their wine list which was our first experience with it and we’d definitely try it again. 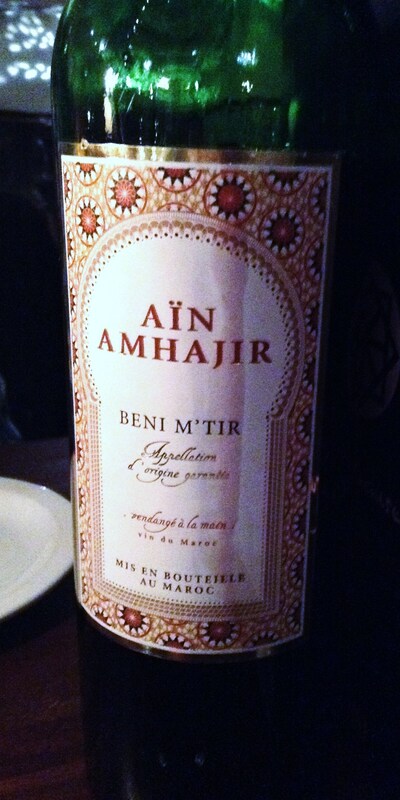 Unfortunately, it doesn’t look like it’s currently on the online wine list, but they do list a Moroccan white which might be worth a try. 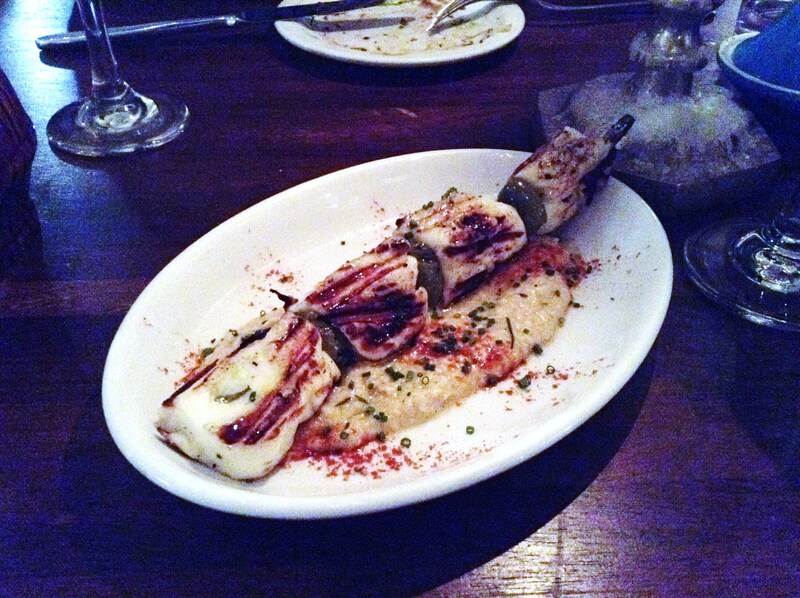 The grilled halloumi skewer was delicious − but when is halloumi not? − and the hummus was flavorful and the coarse texture implied it was homemade which I appreciated. The shrimp skewer was tasty, but was a little pricey for what it was. The smoked haddock frittata was unfortunately a bit overcooked, but the flavors were good and the herb oil was nice. 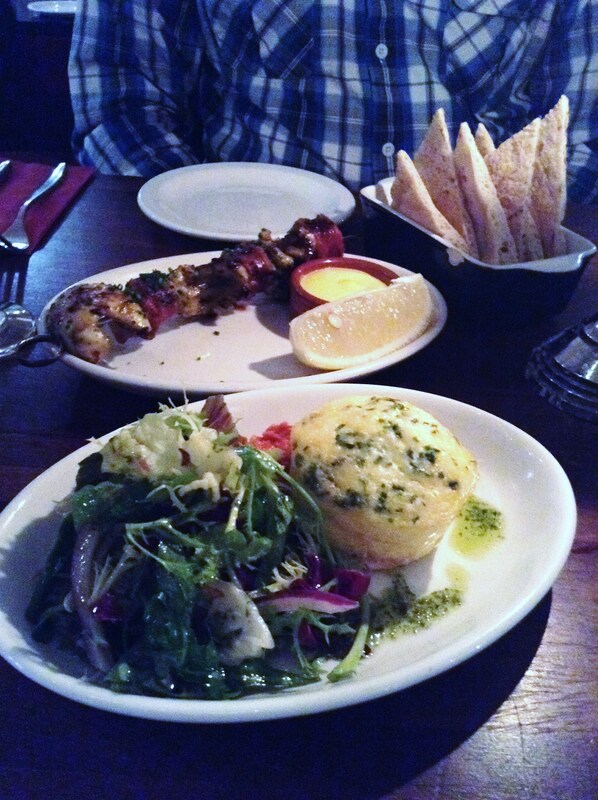 The flatbreads were out of this world, although also a bit of a small portion for the price but truly lovely. 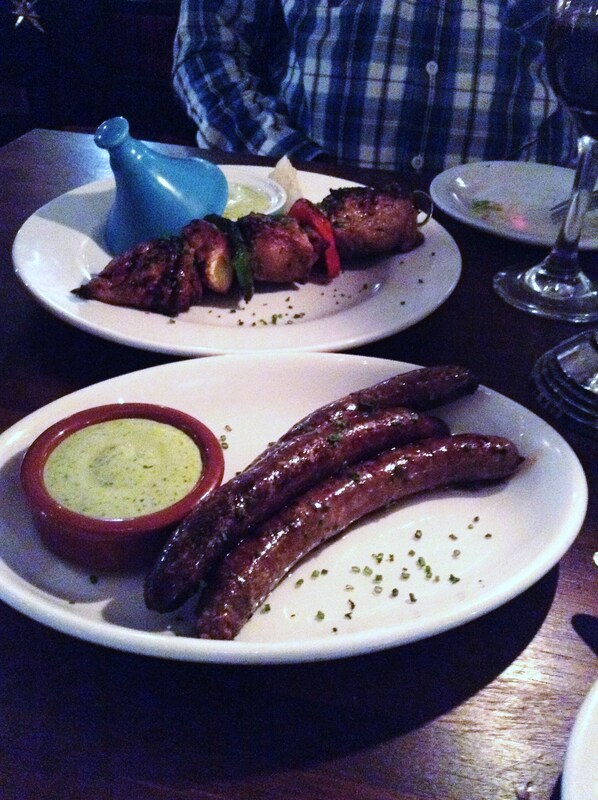 The homemade spicy merguez sausages were definitely the star of the show and the lamb skewer was runner up. Both were really flavorful and the meat on the skewer was really tender. The mint aioli they came with set the lamb in each off perfectly and definitely ended the meal on a high note. On previous visits we’ve tried some of their tapas and their Moroccan beer, Casablanca, and both times we’ve really enjoyed ourselves. So next time you’re in Canterbury and looking for a casual place to enjoy a few nibbles and a cold one, take a stroll down Butchery Lane to Café Mauresque. And definitely don’t leave without trying one of the homemade merguez sausages. Looking for somewhere to eat out in Kent? Come try my supper club! Looks like a great find in an unlikely place. I’m still here, Pami! Always looking to read more good food from you! Glad you’ve been eating well! Thanks, Amanda! Just need to make the time to share all the goodness with you now.